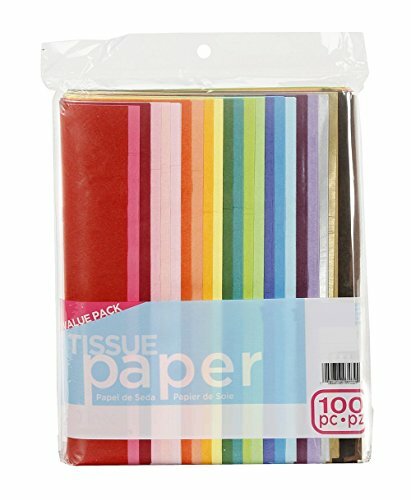 These tissue papers are made with high quality recycled fibers.They are soft and easily folded into gift bags. 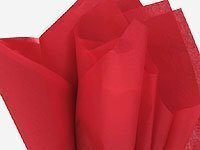 Great for decorative use in cello bags, gift baskets & bags, smaller gift packaging and craft projects! 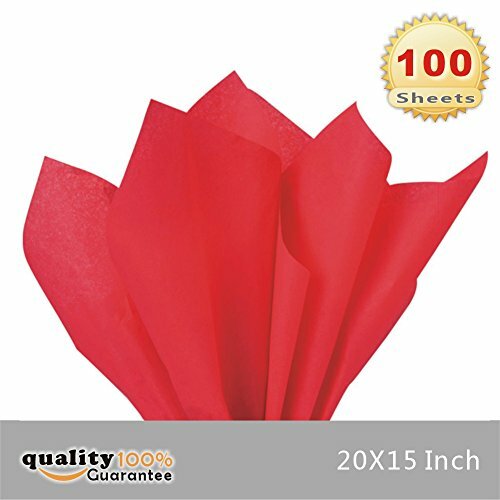 Package includes 100 sheets 15" X 20" Gift Wrap Tissue Paper.PMLAND Brand Philosophy PMLAND values our customers by keeping YOUR shopping concerns in mind, therefore, we deliver products with our best: CREATIVITY for your convenient use and fun experience QUALITY by using durable materials, delivering best-in-industry design and monitoring on manufacturing/packaging control SUSTAINABILITY by supplying environment-sustainable, family-friendly, safe and healthy choices. We take great pride in the products we supply, that's why we offer a 100% Satisfaction Guarantee. NOTICE: PMLAND is a registered trademark with the USPTO in USA. Make sure you are only purchasing from PMLAND to avoid any product quality problems. 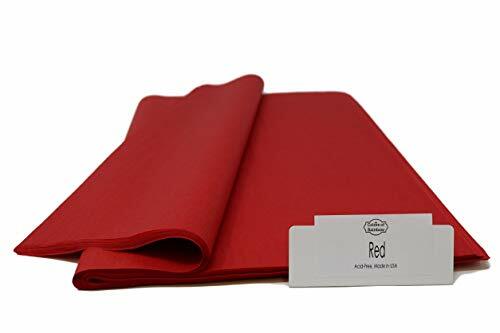 Part No: TP Red 15"x20"
Perfect for adding an accent to your gift bags or gift boxes. 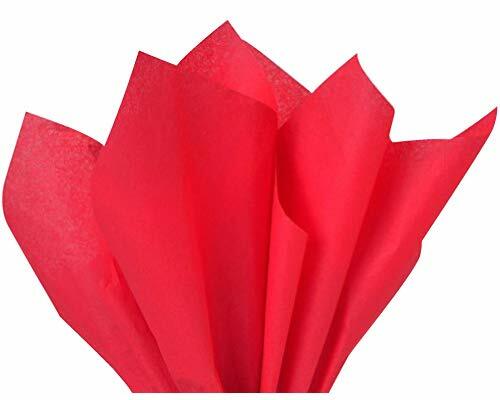 Combine tissue colors to add dimension and pizazz to your finished gift. Size: 20" x 30".